Should there be a tax on sugared beverages? In response to a 2010 proposal by the governer of New York, students form the Academy of Urban Planning in Bushwick took to the streets to make up their minds. With the help of teacher Aisha Haynes and designer Nikki Chung, they compiled their research into the Soda Tax Booklet, from newspaper articles to their own illustrated survey data. 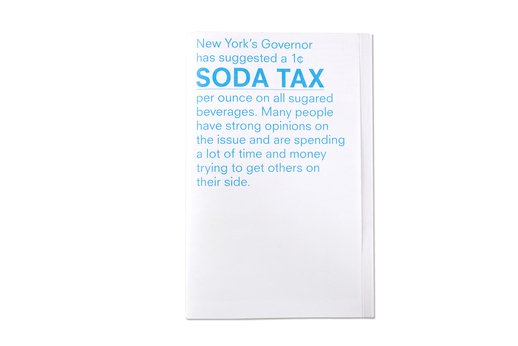 Their opinion essays might even help you make up your own mind about the soda tax. The booklet is great for math classes, food justice groups, and teachers interested in integrating current events into their classrooms.